The Christmas season is well and truly upon us and even here in the desert it’s a little bit festive with trees and twinkly lights dotted about. 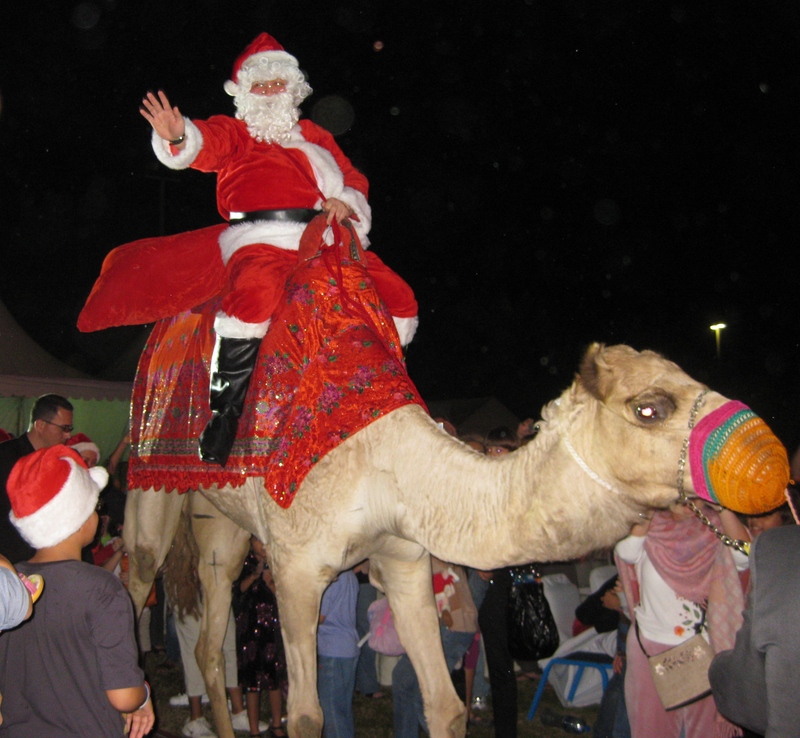 Being a hot sunny muslim country and all, it’s a lot more tricky to deliver a family Christmas experience but believe me it seems to be getting easier every year or is that I am more organised……nope it’s definitely not that! 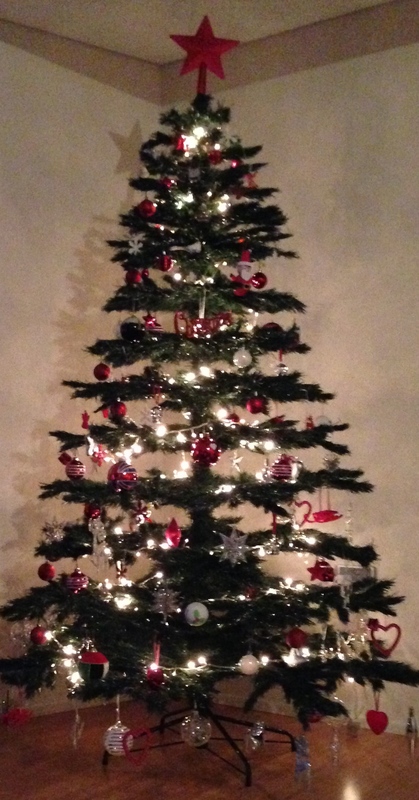 The tree is up, the poinsettia in place, school has finished, one son made an early appearance (as a big surprise) and the other one arrived yesterday so all the pieces of the family jigsaw are in place. Beer and wine have been purchased, Christmas cake, pud, mince pies, crackers and the obligatory tin of Quality Street are stashed in the cupboard. However present shopping is not quite finished and those gifts that have been purchased are not all wrapped but hey-ho I am getting there, albeit a bit slowly this year. 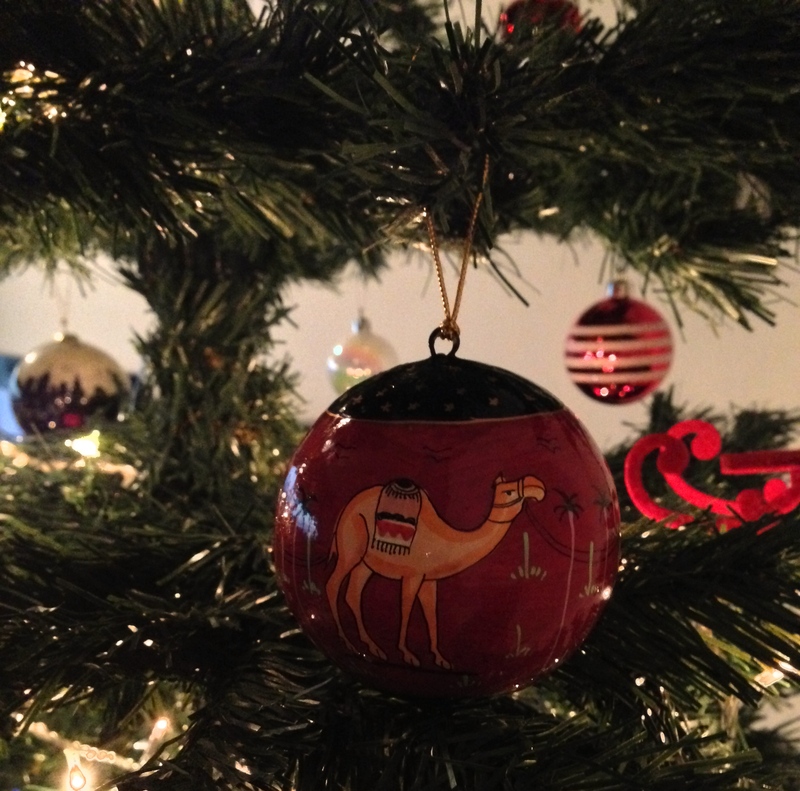 Camel bauble to celebrate another UAE festive season. 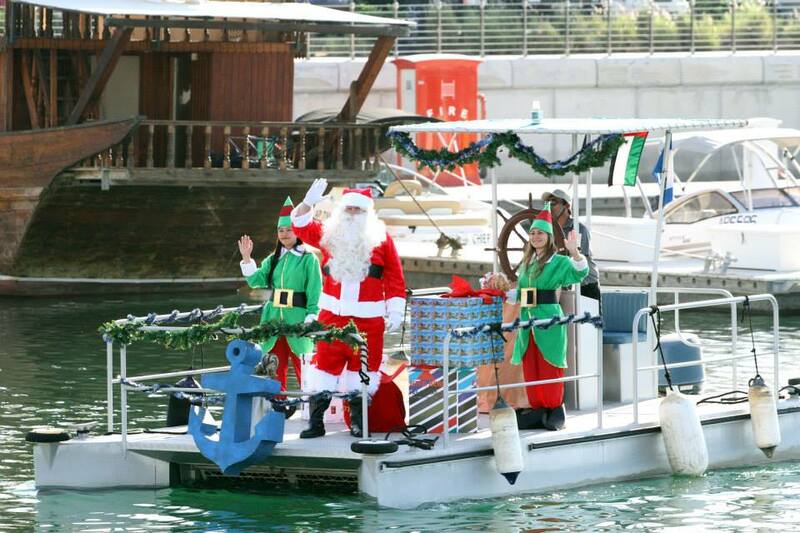 Obviously all the UAE Christmas cheer is directed at the western expats as the locals and non-christians do not celebrate the annual festivities. It seems that the shops and hotels have fully embraced the Christmas spirit and seen the vast income potential that it generates. Our first Christmas here was six years ago (yikes time really is motoring on) before we all lived here permanently and we had a new voluminous villa in the middle of nowhere without furniture, an orange metal kitchen (seeing was believing) only a few beds and a large TV (obviously). 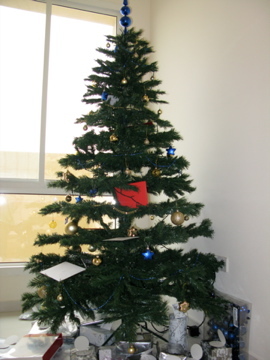 First UAE Christmas in an empty villa with our very sad sparse artificial tree and its tacky blue decorations. Now I am a real Christmas tree kind of girl, you know the one with the festive piney smell that constantly drops needles on the floor and looks a little worst for wear by the 25th of December. But you have to adapt when you are new to a country so I purchased a 6ft Carrefour artificial spruce that required home assembly branch by branch and the only decorations that were still available were blue and hideous! So that first Christmas was blue and tacky, but credit where credits due that tree is still going strong, it’s a bit lopsided now and doesn’t fit back fully in its box but at least the decorations have improved over the last few years. I have to force myself into the Christmas frame of mind as it’s not so accessible and the other half is quite bah humbug! 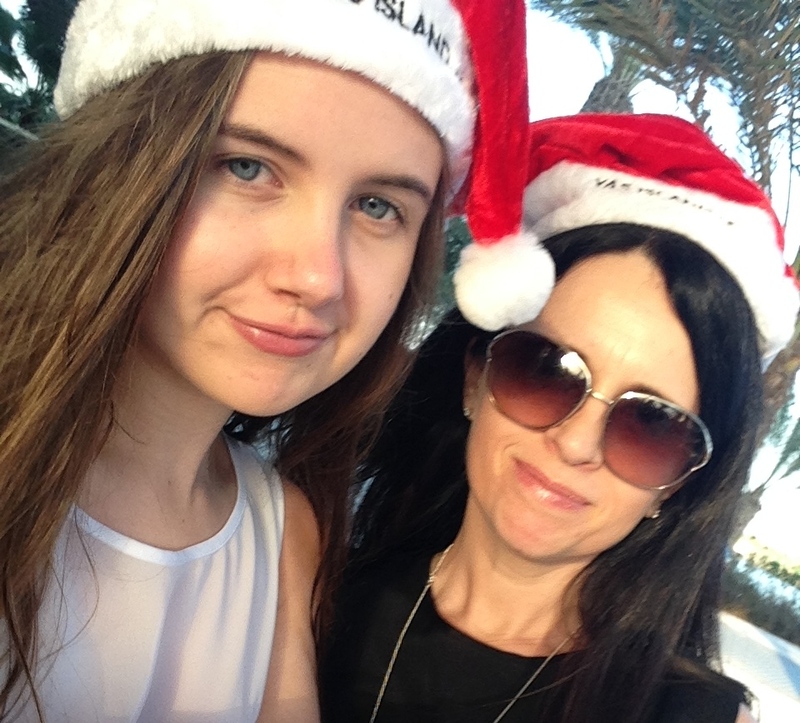 The teenager and I have made our annual trip to the Swiss Christmas Market (some resistance here and an eye raise or two but I held my ground) held at the Beach Rotana Hotel. A camel bauble was added to my collection and a wooden Finnish reindeer decoration and with free Lindt choccy treats being given out it was a worthwhile trip after all. 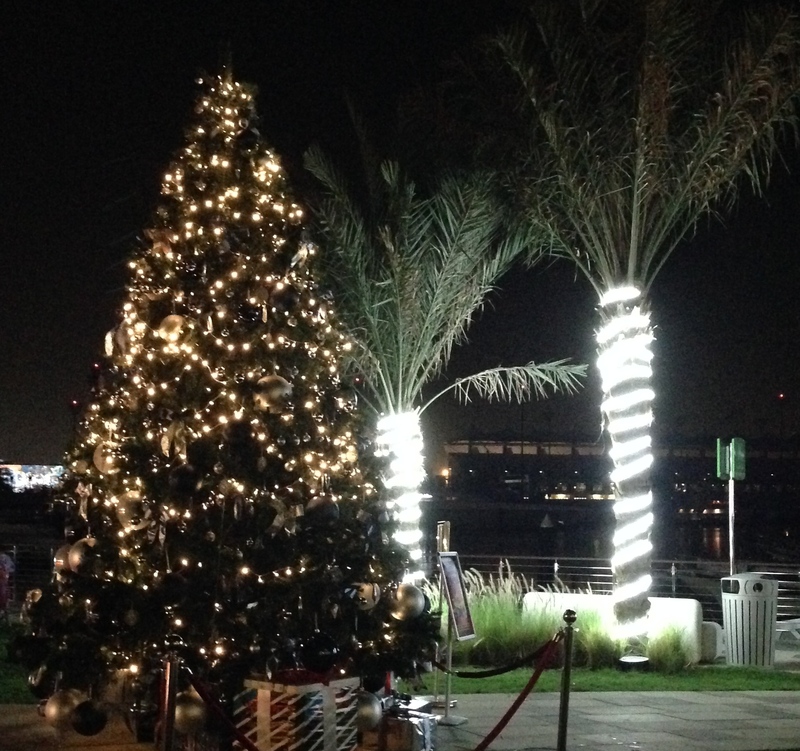 We all went with friends to the Yas Marina Tree lighting event with a band playing carols, Father Christmas, elves and candy canes (all slightly understated if I am honest but the idea was good). There have been so many more Christmas market and craft events this year, the malls have some stunning display trees and decorations and I think every hotel has had its own tree lighting ceremony. 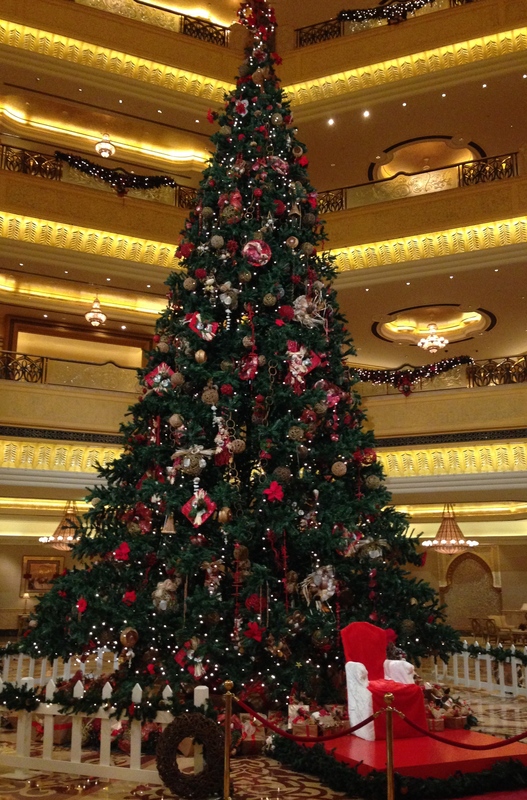 I even spotted Santa wandering through the Emirates Palace the other night. Luckily good old Ikea had lots of goodies as does Marks and Spencer’s (they did run out of mince pies though) and Waitrose so it’s not all doom and gloom. Present shopping is a bit trickier for specific requests as I have not had a trip to the UK in December this year instead I have had to rely on the internet and my sons to assist me. So this year there was no rummaging in the Cath Kidston Christmas goodies section, no visit to see Selfridges and Harrods to see the Christmas windows, no Panto and no fight in the London Christmas shopping crowds (probably don’t actually miss that bit) so I have had to dig much deeper to find my Christmas spirit. This year we are staying at home for Christmas Day (first time for nine years) and the other half is in charge of preparation and cooking which equates to roasting a tray of veggies as we have ordered a turkey-to-go. The roasted bird and its trimmings, cooked at the Marco Pierre White restaurant at the Fairmont Hotel will be collected by the other half Christmas morning (fab idea that most establishments here have now embraced). We have previously experienced the Shangri-La and Fairmont Christmas Day brunches which although fantastic and great fun are super busy and no one is actually at the table at the same time. We had a Christmas get together at home last week, a festive BBQ (Christmas and BBQ in the same sentence seems strange) before everyone flew off the their respective family events around the world. 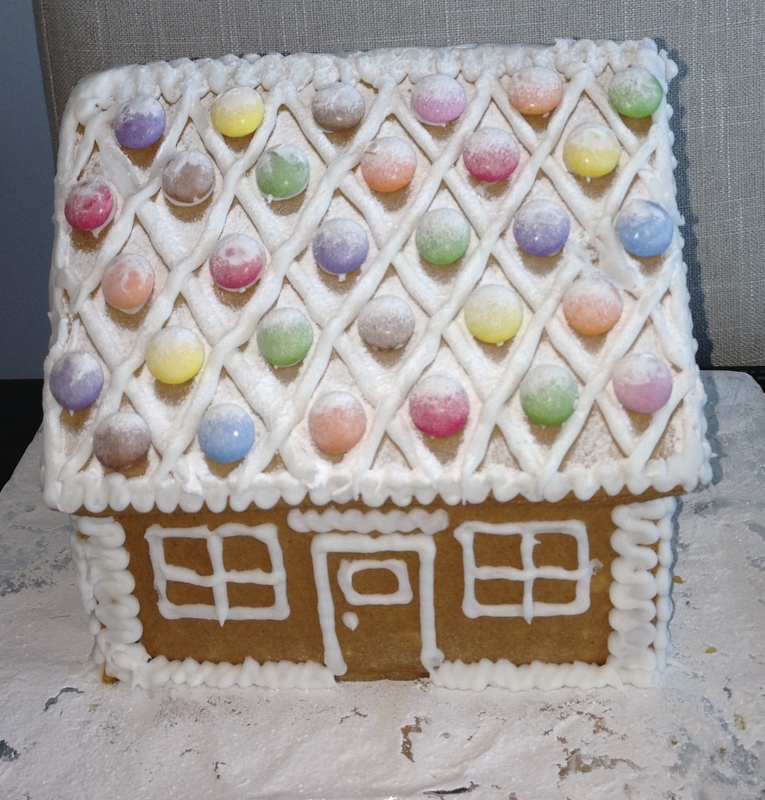 A lovely friend made me a fantastic gingerbread house and a tray of homemade chocolate brownies, a lovely thoughtful idea and it’s always great to receive handmade gifts. We have watched the reruns of the cheesy ‘Miranda’ and ‘Gavin and Stacey’ Christmas specials so I am getting into the mood just need to watch Elf. Today it’s off to the mall again, list in hand to try to cross off some more items, on the upside at least its easy to park and won’t be crowded. I love a list and the satisfaction of crossing it all off even though it’s more of a delete off the iPhone rather than a cross off with pen and paper these days. I have located the stockings ready for the annual photo, much to the kids disgust (yes they are 22, 20 and 15) but it’s a tradition (we have only missed all three of them together once when the eldest was on his gap year) but we are past putting out the mince-pie and beer for Santa and carrot for Rudolph, which is quite sad really. I have decided not to send Christmas cards to the UK this year but instead make a donation to the Hospice in Devon that cared for my mother before she died, a very worthy cause indeed. So it’s Merry Christmas one and all from me and mine to you and yours and thank you to everyone following and reading the blog. 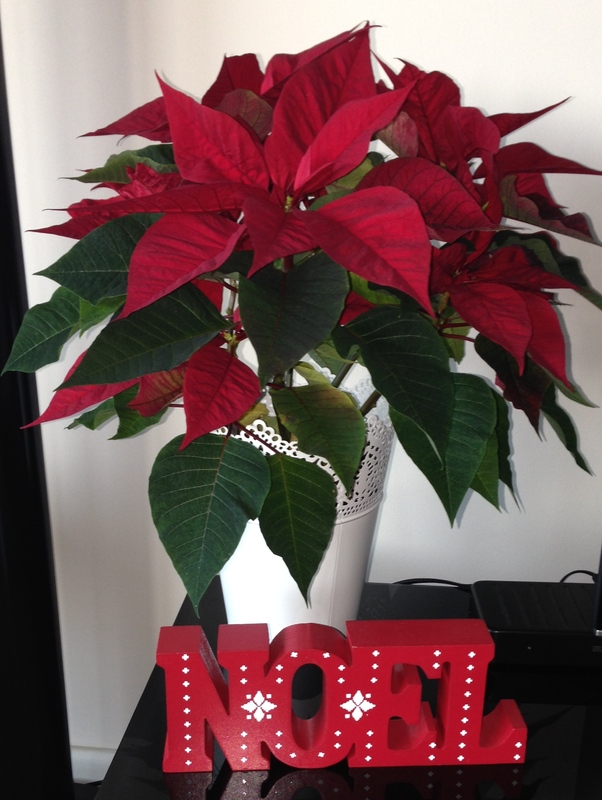 have Christmas pudding, ecclefecchan pies, sprouts of course, neeps husband is Scottish, parsnips and spuds to roast…. whoops no crackers hmmm anyone seen crackers?